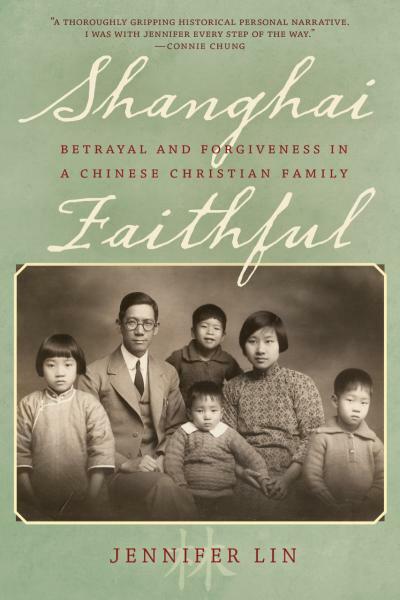 Jennifer Lin, Former Beijing Correspondent, "The Philadelphia Inquirer"
A former Beijing correspondent for "The Philadelphia Inquirer," Jennifer Lin chronicles 150 years of family history in "Shanghai Faithful: Betrayal and Forgiveness in a Chinese Christian Family" (Rowman & Littlefield, 2017), described by author Orville Schell as “a beautifully written elegy.” The book includes a compelling cast: the first convert who went to work for missionaries as a cook; a doctor who treated opium addicts; a Penn-educated Anglican pastor; and the influential independent religious leader Watchman Nee, vilified after 1949 as a “counterrevolutionary.” Lin will discuss how her family story personifies the evolution of Christianity from a Chinese perspective, as well as how she used journalistic tools to construct a multi-generational narrative. Jennifer Lin worked for "The Philadelphia Inquirer" for 31 years, including postings as a financial correspondent in New York; a national reporter in the Washington bureau of Knight Ridder Newspapers; and the Asia correspondent for "The Inquirer" and the 30-paper Knight Ridder chain. Lin left daily journalism in 2014 to complete her family memoir, and to start work on a documentary, “Beethoven in Beijing,” which captures the flourishing of classical music in China through the history and ongoing engagement of the Philadelphia Orchestra. A graduate of Duquesne University, Lin lives in Doylestown, Pa. with her husband, Bill Stieg, a Wolverine and former sports editor of "The Michigan Daily." If you are a person with a disability who requires an accommodation to attend this event, please reach out to us at least 2 weeks in advance of this event. Please be aware that advance notice is necessary as some accommodations may require more time for the university to arrange. Email us at chinese.studies@umich.edu.